Bl. 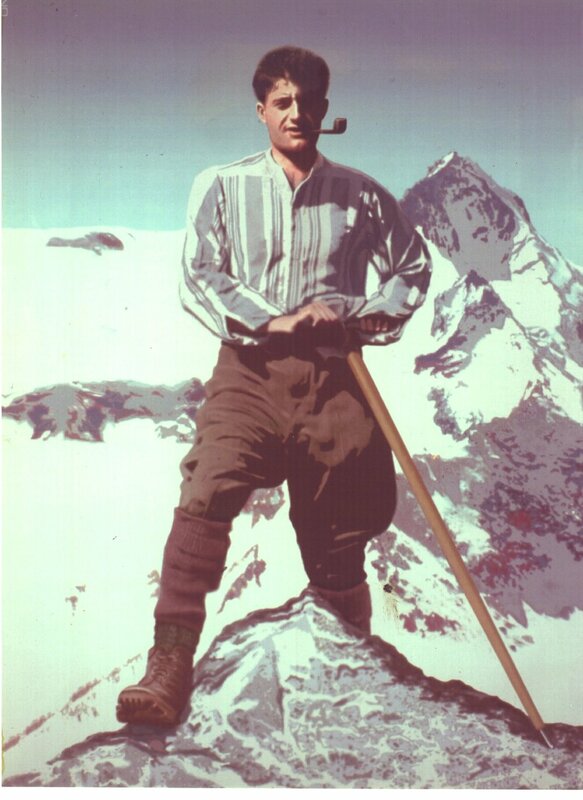 Pier Giorgio Frassati is the namesake and patron saint of our Fellowship. Watch this video or read on to learn more about him. To our modern world which is often burdened by cynicism and angst, Pier Giorgio’s life offers a brilliant contrast, a life rich in meaning, purpose, and peace derived from faith in God. From the earliest age, and despite two unreligious parents who misunderstood and disapproved of his piety and intense interest in Catholicism, Pier Giorgio placed Christ first in all that he did. These parental misunderstandings, which were very painful to him, persisted until the day of his sudden death of polio. However, he bore this treatment patiently, silently, and with great love. Pier Giorgio prayed daily, offering, among other prayers, a daily rosary on his knees by his bedside. Often his agnostic father would find him asleep in this position. “He gave his whole self, both in prayer and in action, in service to Christ,” Luciana Frassati writes. After Pier Giorgio began to attend Jesuit school as a boy, he received a rare permission in those days to take communion daily. “Sometimes he passed whole nights in Eucharistic adoration.” For Pier Giorgio, Christ was the answer. Therefore, all of his action was oriented toward Christ and began first in contemplation of Him. With this interest in the balance of contemplation and action, it is no wonder Pier Giorgio was drawn in 1922 at the age of 21 to the Fraternities of St. Dominic, and became a Third Order lay Dominican. 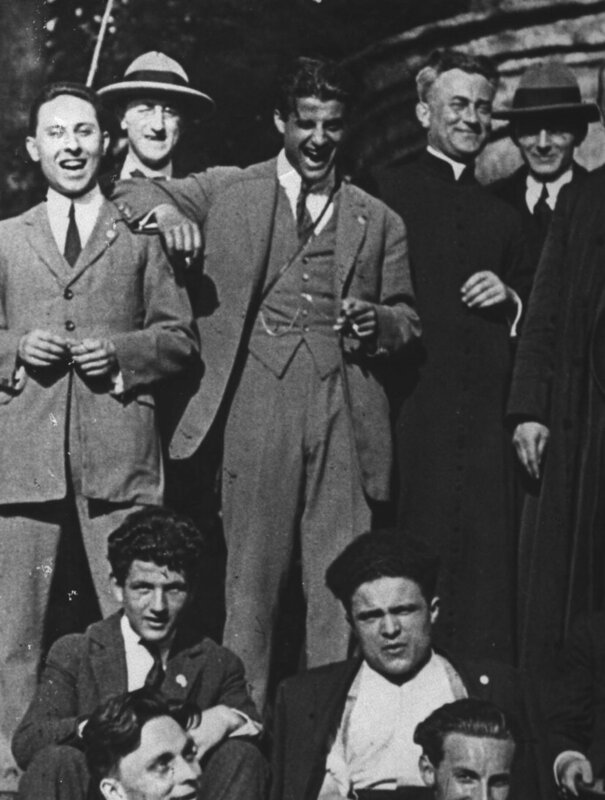 As Luciana points out, “Catholic social teaching could never remain simply a theory with [Pier Giorgio].” He set his faith concretely into action through spirited political activism during the Fascist period in World War I Italy. He lived his faith, too, through discipline with his school work, which was a tremendous cross for him as he was a poor student. Most notably, however, Pier Giorgio lived his faith through constant, humble, mostly hidden service to the poorest of Turin. Although Pier Giorgio grew up in a privileged environment, he never lorded over anyone the wealth and prestige of his family. Instead, he lived simply and gave away food, money, or anything that anyone asked of him. It is suspected that he contracted from the very people to whom he was ministering in the slums the polio that would kill him. Even as Pier Giorgio lay dying, his final week of rapid physical deterioration was an exercise in heroic virtue. His attention was turned outward toward the needs of others and he never drew attention to his anguish, especially since his own grandmother was dying at the same time he was. Pier Giorgio’s heart was surrendered completely to God’s will for him. His last concern was for the poor. On the eve of his death, with a paralyzed hand, he scribbled a message to a friend, reminding the friend not to forget the injections for Converso, a poor man Pier Giorgio had been assisting. When news of Pier Giorgio’s death on July 4, 1925 reached the neighborhood and city, the Frassati parents, who had no idea about the generous self-donation of their young son, were astonished by the sight of thousands of people crowded outside their mansion on the day of their son’s funeral Mass and burial. The poor, the lonely, and those who had been touched by Pier Giorgio’s love and faithful example had come to pay homage to this luminous model of Christian living.